Reading and share top 1 Agnes Sligh Turnbull famous quotes and sayings. 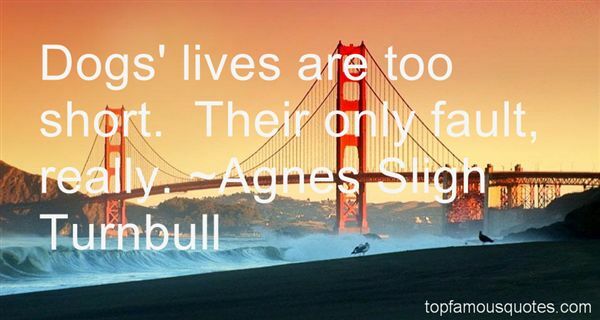 Browse top 1 most favorite famous quotes and sayings by Agnes Sligh Turnbull. Love is a force more formidable than any other. It is invisible - it cannot be seen or measured, yet it is powerful enough to transform you in a moment, and offer you more joy than any material possession could."